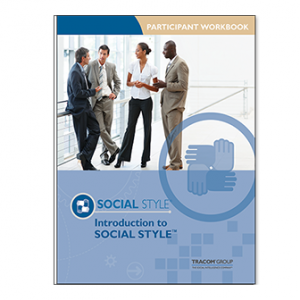 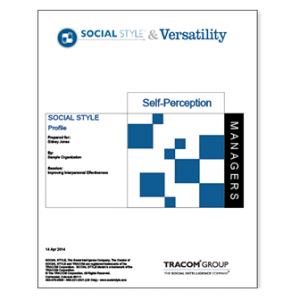 Completing a SOCIAL STYLE Profile also offers learners a free post-training tool – SOCIAL STYLE Navigator – which provides modular learning to apply SOCIAL STYLE strategies to solve common workplace situations. 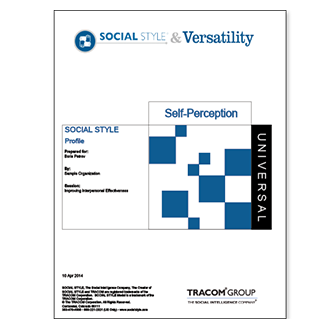 The Universal SOCIAL STYLE Self-Perception Profile uses a self-completed online questionnaire to measure a person’s own view of his or her SOCIAL STYLE and Versatility. 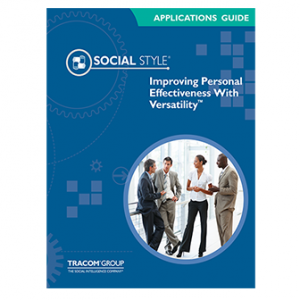 An electronic profile is immediately generated that explains the results and provides guidance about effectively applying SOCIAL STYLE. 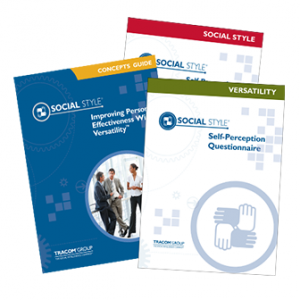 The Improving Personal Effectiveness with Versatility (IPEV) Concepts Guide is included with the profile.